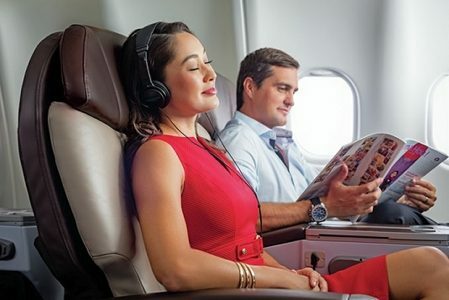 Hawaiian Airlines has announced it will be auctioning off unsold First Class seats on its long-haul Hawaii/North America flights. When available, coach passengers will be able to name their price on the upgrades utilizing an interactive bid screen which shows how strong their offer is compared to other passengers. If your offer is successful you will be billed for the upgrade, if not you pay nothing and keep your original seats. Only the first listed passenger on each Hawaiian Airlines reservation will receive an email invitation to participate in Bid Up. Any passenger who doesn’t receive an offer can go to the Hawaiian Airlines website and enter their Hawaiian Airlines 6-letter confirmation code and Last Name and it will verify if Bid Up is available for your flight(s). If it is available, you will be directed to the bidding page where you can submit your offer. Upgrades through Bid Up are awarded to guests with successful bids within 48 hours prior to departure, subject to availability at the time of upgrade. We have to assume this new program will make availability of Pualani Platinum complimentary first class upgrades for Elite members a little sketchier, so if you’re planning on upgrading that way you should do so as soon as possible within the 72 hour window of availability. To read more about the Bid Up program, or to check eligibility for your already booked flight, click here. (Hawaiian Airlines).